Is that the sunset or a drink you are holding in your hand? While you are laying out by the pool roasting, don’t forget to give your insides a little love too. 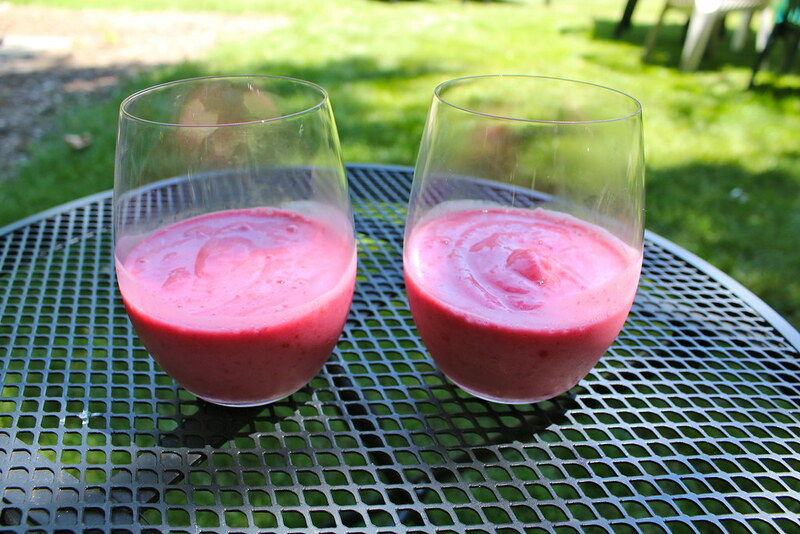 Stay hydrated and full with this made-for-summer smoothie. Although this summer drink has no booze in it (no no, don’t leave the page just yet!) trust me, you won’t even miss it. 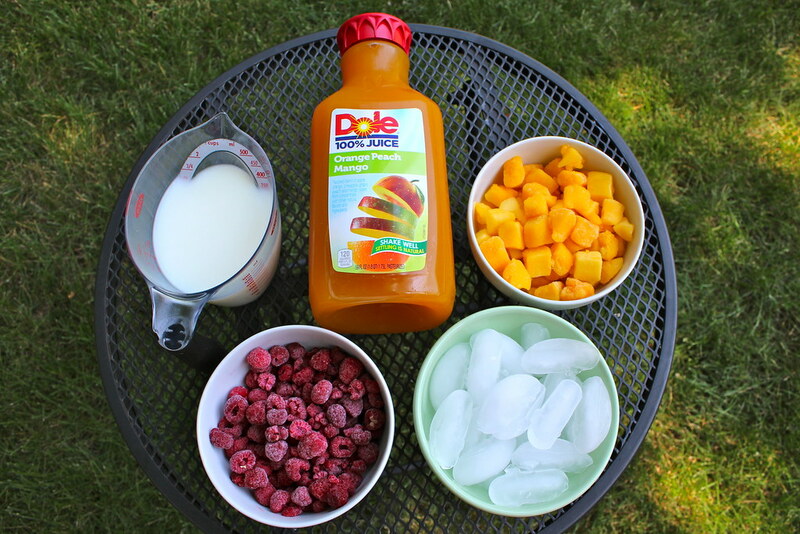 This drink is equal parts tart raspberry and sweet mango, or as I like to call it, good and even better. If you like your raspberries tart, leave the sugar out and let the mango half swirl throughout it to sweeten the layer. But if you are all about sweet (…guilty) throw a little bit of sugar in there to make it even better. 1. Combine 3-5 ice cubes, frozen raspberries, milk and sugar (optional) in blender and mix until smooth. 2. Divide raspberry mixture equally between two glasses, and chill the glasses in the freezer until second layer is ready. 3. 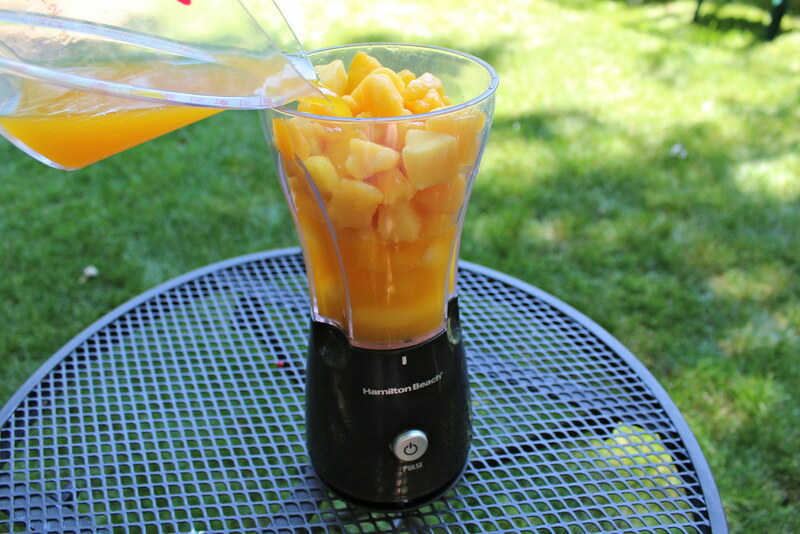 Rinse out blender, and mix together ice, frozen mangoes and OJ until smooth. 4. 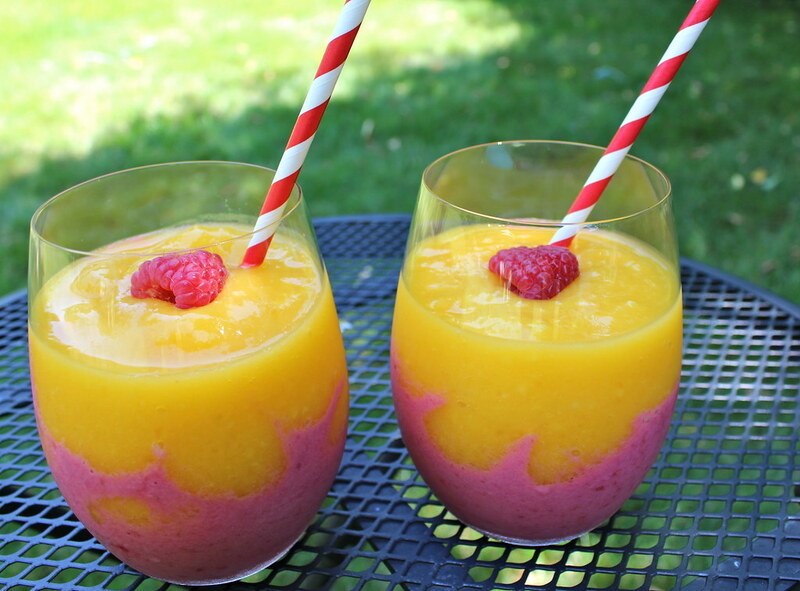 Remove glasses from freezer and gently spoon mango mixture on top of the raspberry mixture. 5. 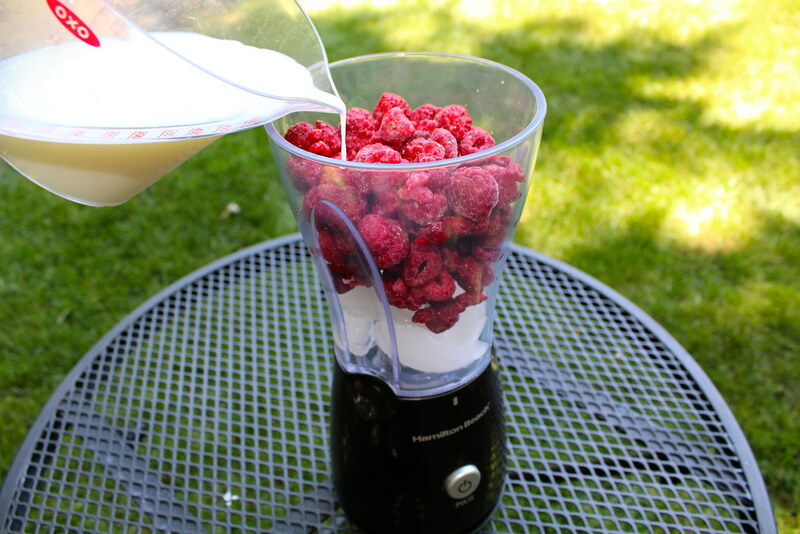 Top with fresh raspberries and enjoy sipping down your ultra-summery drink!